Welcome to Week Fourteen of your program! When you on the journey of living in a body you love patience is your ally and impatience is your nemesis. 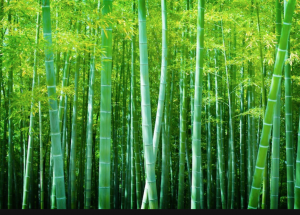 The Chinese Bamboo tree is in the ground 5-years before any sign of growth. This means a person will plant a Chinese Bamboo tree and water it diligently for 5-years without seeing the seedling emerge from the ground. After 5-years when the Chinese Bamboo tree finally emerges it will grow 90-feet in 5-weeks. Your journey toward living in a body you love isn’t going to take 5-years but it will take months of consistent practice, trust, and patience. Your seed has been planted and your job is to take care of it and allow it to grow. Learn the patterns of behavior and emotional age when you are doing things that keep you in a body you don’t love so you can see them coming. Know that your body and thoughts are conditioned to living in a body you don’t love but that is NOT your truth! Keep your digestion clean and running optimally. Explore what a woman how a woman who lives in a body she loves behaviors, feels about herself and what she eats. Try new was of being with yourself and new recipes, snacks, and restaurants. I know you want to be your goal weight yesterday and that would not allow your soul to experience an emotional expansion that it came for. Who will you be when you live in a body you love? It is happening. You may not have been perfect on this program so far and guess what? You’re not supposed to be! You’re supposed to go through an up and down journey of exploration that leads you to understand yourself and how to live in a body you love with peace, compassion, and love. Be patient and allow yourself to become a woman who lives in a body she loves. See yourself before you came here to earth. See how you accepted this journey knowing that you’d have emotional challenges and pain. You knew that your soul would move toward love and forgiveness of yourself and others. It wouldn’t be easy but you knew you could do it! As you wash in the shower be grateful for what your body has done for you. For instance, all the times your arms have hugged your loved ones, your hands have cooked meals, your legs have gotten on and off seats, your feet have climbed thousands of stairs and walk miles and miles during your life. Let it be a time of gratitude for what your body has and can do for you. ENJOY YOUR SHOWER! Let yourself Feel Good! It’s VERY important to get into a high vibrational feeling before you go to bed so you will wake up there! Before you go to bed each night write or say out loud at least one to two things you can appreciate about yourself. Your goal is to go to bed in a feel-good emotional vibrational state so you wake up there!